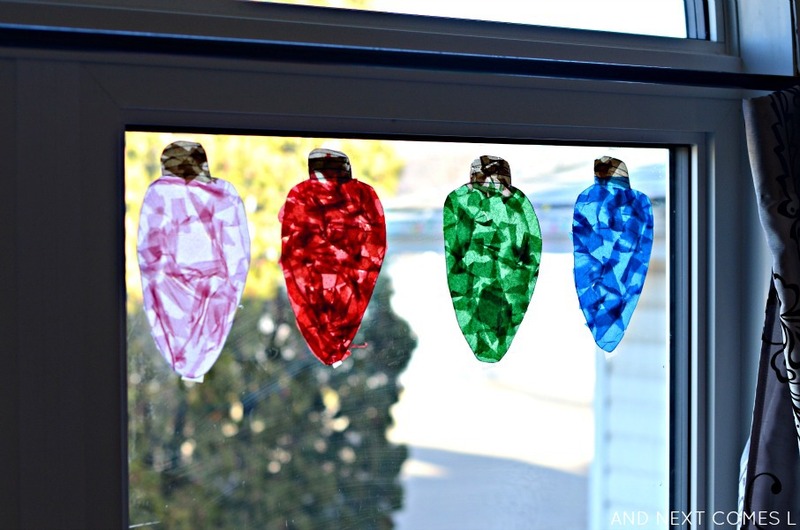 You're going to love this easy Christmas craft for kids. Make an entire string of Christmas light suncatchers to decorate your window this holiday season! 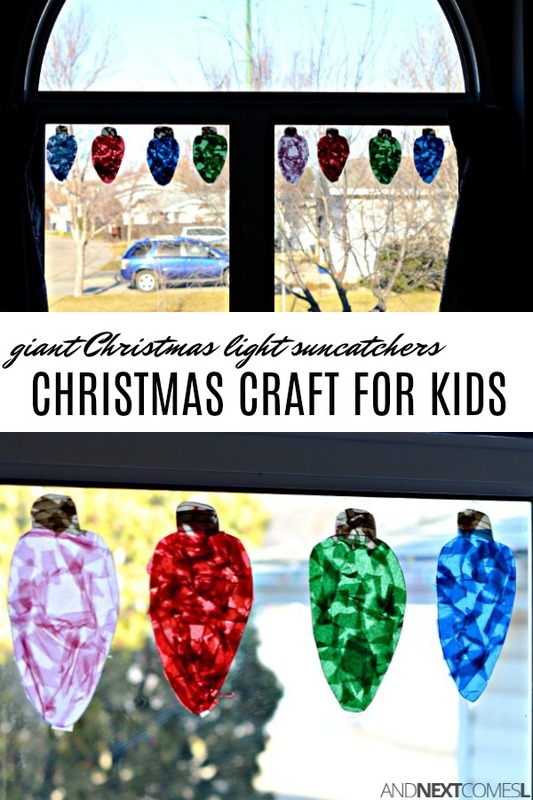 When it comes to Christmas crafts for kids, this one is perfect for kids of all ages. Toddlers will love ripping and helping make a set of these giant Christmas light suncatchers, while older kids can do this entire craft independently. These suncatchers are also ridiculously easy to make and use items that you can find at the dollar store, making them inexpensive too. I love decorating for Christmas, especially with homemade Christmas decorations and ornaments. Every year, I decorate our tree with some of the homemade ornaments that I made when I was in school. And I absolutely treasure every single one of them! My hope is that my kids will make some Christmas decorations and ornaments that they will love for years and treasure, even when they're grown adults. 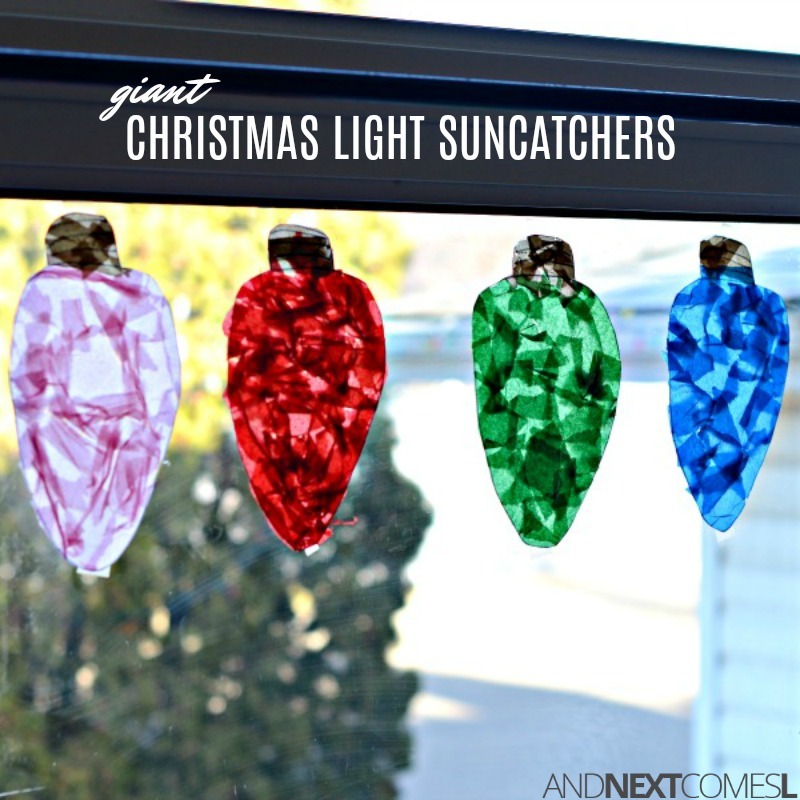 Thankfully, these giant Christmas light suncatchers are made with contact paper so they'll hopefully last many years. 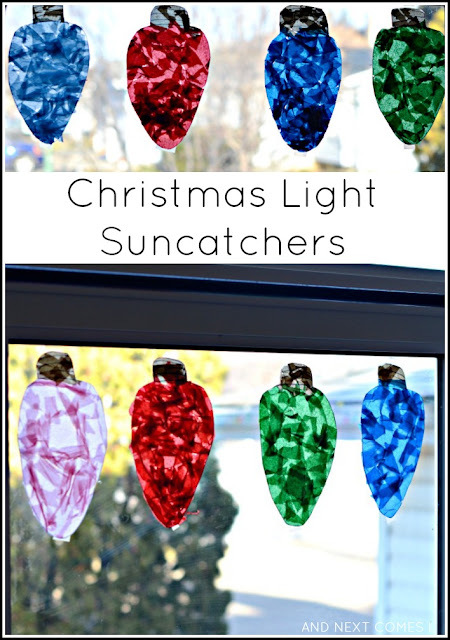 This suncatcher craft is great for a variety of ages, works on fine motor skills, and looks so beautiful hanging in the windows. Trust me, the pictures just don't do this craft justice! Even one of my piano students, who's a local preschool teacher, was in love with them and wanted to try them with her class. I promise that this craft is easy and you can certainly make them as big, or as little, as you like. We, however, chose to make big lights since I have a huge window out front to decorate. You'll want to check out the full tutorial on CBC Parents, link below.